The Hitch Bike Rack is a playful but sturdy bicycle rack design which provides height and support for both adult and child sized bikes. Its a charming classic bollard-style that offers safe storage with a more condensed, space saving design for sidewalks or outside schools, offices, or retail settings. Welcome commuters and visitors to your location by making it friendly and accommodating for cyclists who make the ecological and healthy choice to leave their cars at home. The Hitch Bike Rack delivers style and functionality, as well as durable construction for outdoor use. It prevents theft, requires minimal space, and meets the Association of Pedestrian and Bicycle Professionals (APBP) recommendations. 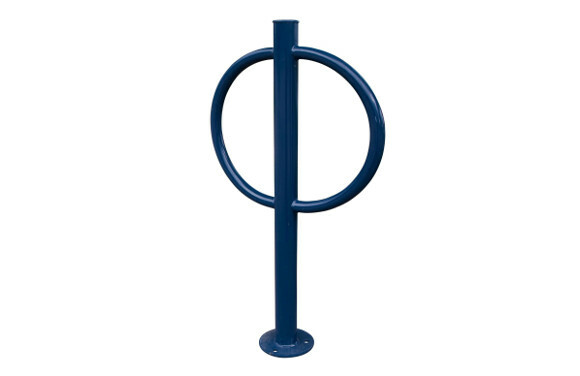 Bollard-style offers safe storage capacity of up to two bicycles. Dimensions are 36 in height x 20 in width. Frame is fabricated from 12 gauge pre-galvanized steel tubing 2-3/8 O.D. Rings are fabricated from zinc tubing and 1-5/16 x 14. Available in both surface mount and in-ground mount options. Electrically MIG welded parts for durability. Available in powder coated paint finish or hot dipped galvanized coating. Recommended surface mount hardware 3/8 x 3-1/2 concrete expansion anchor bolts (not included). Estimated concrete mix hole dimensions 12 wide x 18 deep for in-ground installation. Whether you are a contract professional, urban planner, a business or organization looking to develop a more pedestrian and cyclist friendly zone, American Parks Company offers a variety of commercial park equipment styles to help you create durable outdoor comfort. 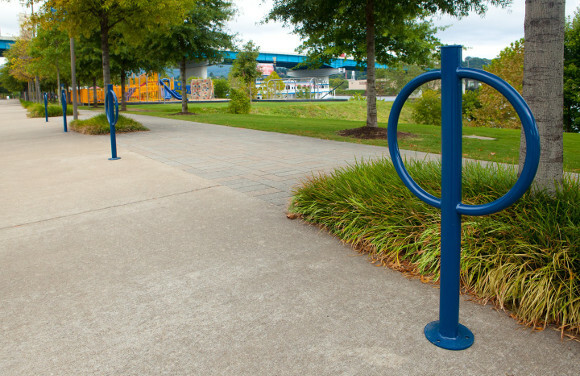 Ask us about matching your bicycle rack to recycling or waste receptacles, dog-friendly products, and other popular park furnishings to create a professional look for less. 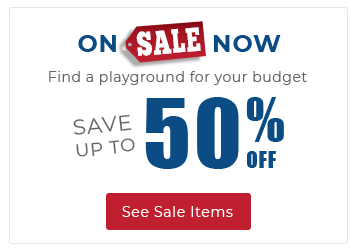 Call 1-800-381-4491 to speak to a customer service representative about all the commercial playground equipment we have to offer.